It's always a big moment for a drum & bass artist to find themselves releasing an EP through the extensive Hospital network, and there's no exception here as Urbandawn pulls out all the stocks on this seriously provoking four track tally up. 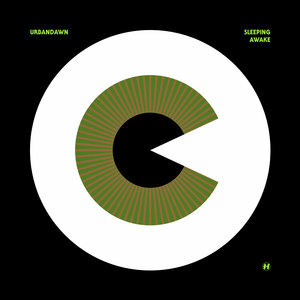 The title track 'Sleeping Awake' is an emotional journey through high end drum perfection and double bass grooves, whilst 'White Canvas' gets gritty with highly swung drum grooves and metallic lead bass stabs left, right and centre. We make a swift return to the liquid stylings next as the luscious synthetic layerings of 'Gloria' rides into the picture, along with the final track 'Roundabout', a glitchy jump up jamboree, focussing on unpredictable rhythmic movements, unorthodox percussive sampling and some incredible drum arrangement. Fantastic stuff!